In 2019 Pharmacy Daily is once again hosting footy tipping competitions for the Australian pharmacy industry. The FREE competitions will run right across the NRL and AFL seasons, and are open to all Pharmacy Daily subscribers, who can compete for the weekly honour of being the top pharmacy sector tipper in each code. 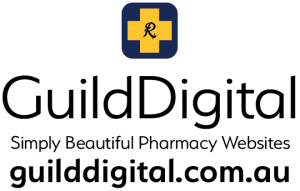 Winners will be published each week in Pharmacy Daily and you can also track your progress on this website. Guild Digital is generously sponsoring the competitions, with a $1,000 prize for the top tipper in each code which will be awarded at the end of the season. The NRL competition commences on Thursday 14th March 2019 and the AFL competition commences on Thursday 21st March 2019. Click on the logos below to join or enter your weekly tips for each code.